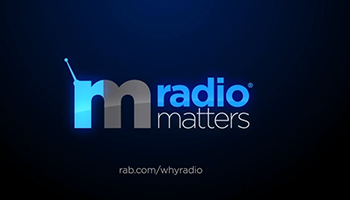 Radio Matters to Millenials...a lot! You can't tune in to radio, watch TV, read a newspaper or click on the internet without hearing a piece or seeing an article about Millennials, and here is another one! The reason we are so focused on Millennials (now the largest generation in terms of numbers) is because they have a different way of experiencing life. They were the first generation to be born and raised in our modern digital world. They not only rely on social media and apps for leisure and convenience, but they are trendsetters and influencers who are set to break records in terms of consumer spending (Accenture has predicted that by 2020, the Millennial generation will annually spend $1.4 trillion in the U.S. alone). As such, Millennials play a pivotal role in the success of just about everything – brands, advertising, media, etc., proving that younger consumers need to be heard, but do they listen? Yes! They listen to what matters to them. Millennials share some common ground with generations that preceded them in that nearly all of those surveyed by Forbes still believe in "The American Dream." According to this April 2016-released survey, that dream is now focused on many ideas – from owning a company to having no debt to becoming incredibly wealthy to traveling the world and saving the world. 97% of Millennials surveyed are optimistic about the future and 66% of them will be involved with a charity or social cause. In order to sell Millennials on a product, concept or service, marketers have to connect with them on an emotional level that aligns with their value sets and their cultural norms. As reported in a Mashable article by Macala Wright, music is a path to making that connection as it is an emotional touchpoint for Millennials. Music incites social action and live music experiences forge lasting bonds. In fact, according to a 2015 study conducted among Millennials by AEG and Momentum Worldwide, 81% said that the coolest brand experiences they've ever seen were at a music festival or concert event. And where do they turn to discover music? Radio. They are turning to radio because the majority of music fans are interested in new music and want it curated for them. They don't have the desire, time or energy to scour for new music, and AM/FM radio is there to provide it for them so that they can then seek it out on other platforms. To emphasize that point, in just one market, Los Angeles, radio reaches more Millennials in a day (2.2MM daily) than Pandora reaches them in a month (1.6MM monthly). This audience segment, in general, also consumes and engages with media and entertainment differently than other age groups, and their media preferences shift based upon their current stage of life. Nielsen recently released its "State of Media: Audio Today – How America Listens" report that unequivocally proves that Millennials listen to radio because radio matters to them – a lot. Nielsen identified 3 key audience segments within the Millennial demographic and all three of these groups are identified as heavy listeners of radio. Dependent Adults, radio reaches 90% Those on Their Own, radio reaches 89% Those Starting a Family, radio reaches 92% In total, regardless of their life stage, 66.5 million 18-34 year olds use radio each week—that is more listeners than any other age group. They tune in an average of 11+ hours weekly, with afternoon drive time (3PM-7PM) as their top daypart and Country music as their favorite format. These stats represent a 10% growth in listening among this group vs. just a year ago. It's also interesting to note that the fastest growing audience segment for radio (in general) are Hispanic consumers, with a 97% reach number (higher than the overall population of 93%) and Millennials make up roughly a quarter of Hispanics in the United States. So when you do the math, it makes a whole lot of sense! To further underscore that Millennials are listening to radio and reacting, Katz Radio Group recently interviewed Americans to gain a better understanding of how they spent their time during Memorial Day weekend, with a special emphasis on media behavior and purchase activity. Their results showed that Millennials were 64% more likely to take advantage of Memorial Day Weekend sales and nearly half of all Millennials were influenced by media or word of mouth recommendations for shopping on Memorial Day Weekend. Among those that were influenced, Radio was cited most often as the catalyst for their purchase decisions (54% compared to 45% friend/family recommendation, 44% TV ad, 31% social media, 26% newspaper). Indeed, Millennials are ALWAYS connected, and clearly radio helps them connect. Radio plays a leading role in their discovery of new music; it is the device they turn to most in the car, and it is the constant that remains their audio companion throughout all the stages of their lives.